Welcome to my page..It's about Georgia, Florida,mostly. First, click here to join Kevin Bacon & other "Stars Who Care" in their Charity Work, on sixdegrees.org, for as low a $10.00 one time only donation! Let's start off with a 1902 photo of a typical GA home with lots of 1900s clothing on my kin. Another photo at top of page5.html. Lots of Ladies' hats to view..& weird dresses,too. Francis Marion Oliver, s/o Curtis & Nancy Davis Oliver. 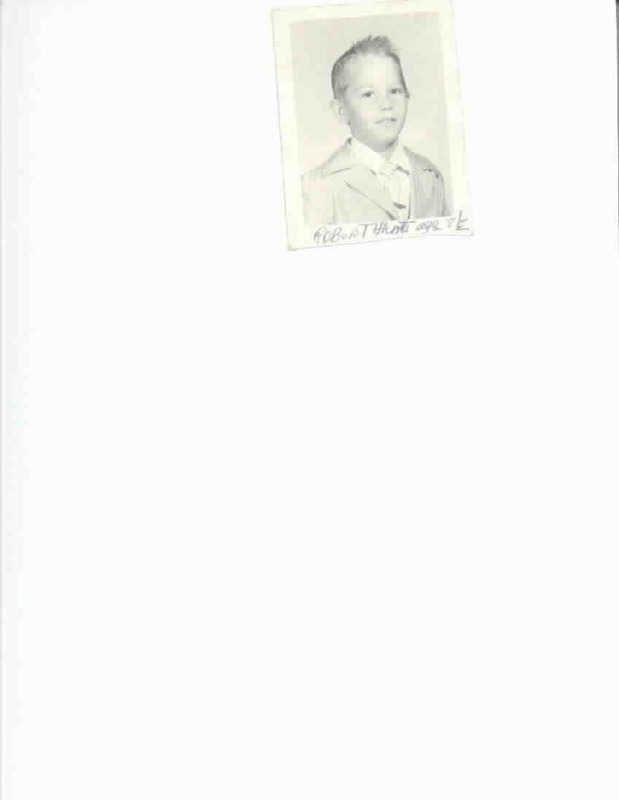 Click here for photo of Ed Davis, a direct descendant of Tilmon Davis, brother of Nancy Davis Oliver. Here's a link to ROGERS all over the world-FIND YOURS! 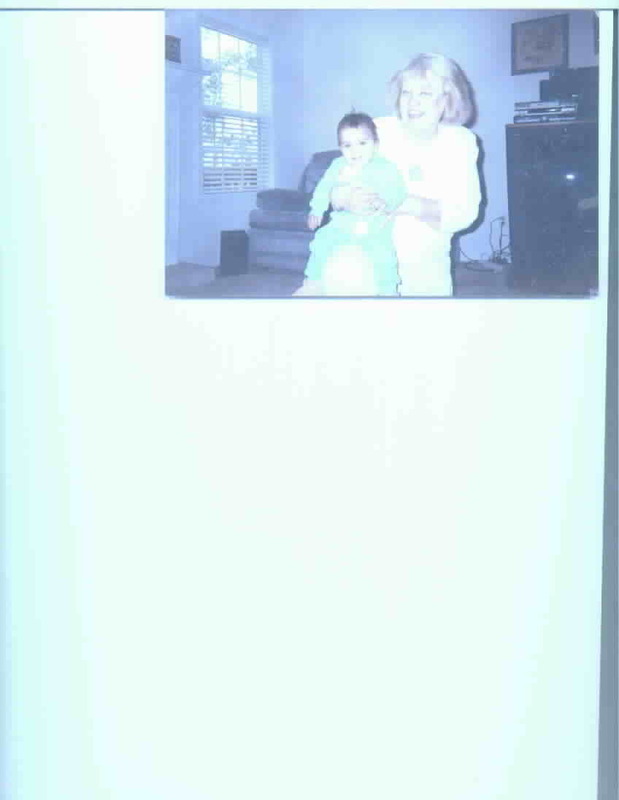 We'll begin with my Mom,June Elizabeth HUNT (nee MCKEE). She lives in Orange City,Florida & has 8 children, 7 girls & 1 lonely boy! Robert Marion Hunt, the end of our Hunt line. 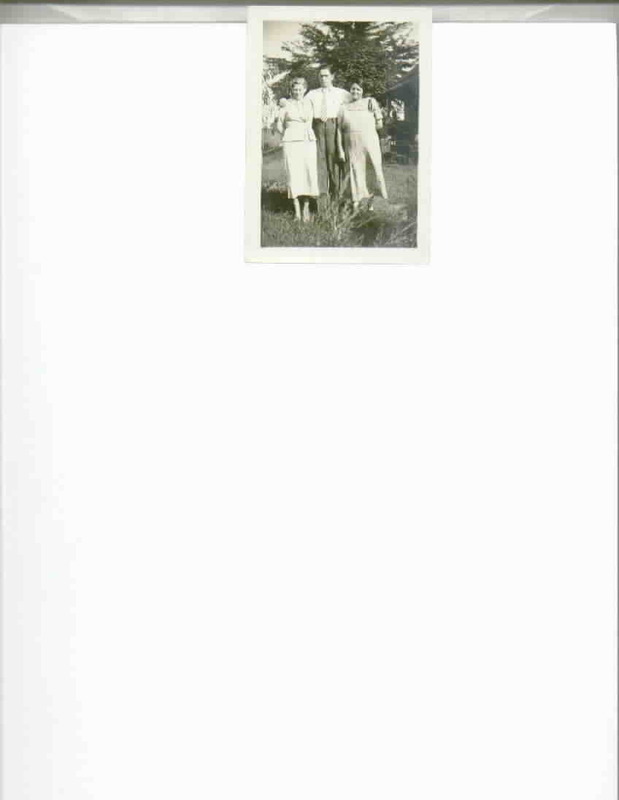 Her Dad,Elbert Ray McKEE,was born in Ms 2/24/1894 & he died in MS 7/1970, but lived in Ga. ca.1920-1940. He's interred in Mississippi,at Hickory Grove Cemetery,see page 4.html. Elbert had 2 other wives after G'ma Edna's death. 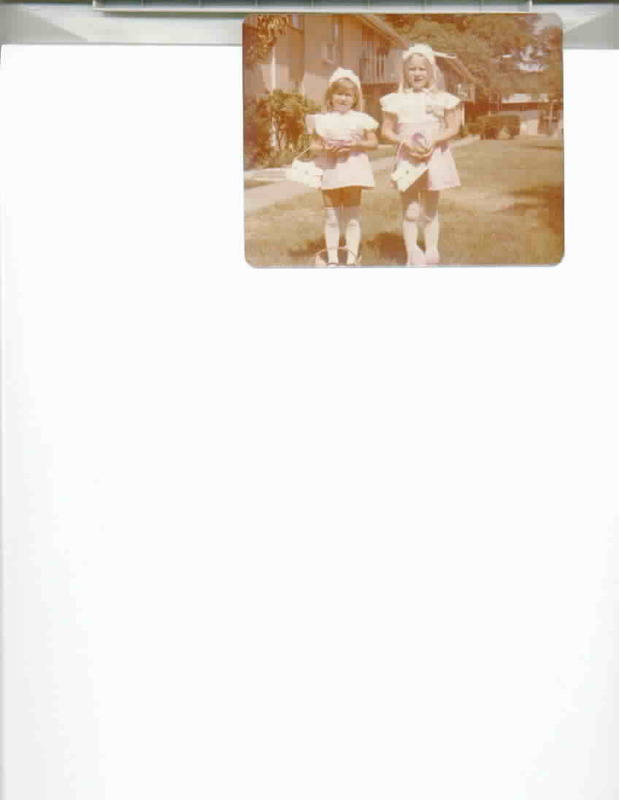 The 2nd one was a Ga. peach, who has a son John McKee. Recently I met John & his wife,Barbara. Here's Barb holding my grandchild, Ashley Valencia. His 3rd wife was Oneta Tillery who was b.7/13/1908 & d.3/1/1966. Their kids are Pat, Bobby, & Ray Claude McKee. Pat,lives now in Mobile,Al,no kids; Ray in Harvey,La.,with 7 kids & @least 1 g'kid; & Bobby,also in LA.,no kids. Mom's EZELL KIN Her Mom was Edna Louise EZELL,born in Ms. or Al.1899 & d.11/22/1936 & is buried in Fairfax,Alabama in Fairfax Cem. As is Betty J.McKee,her youngest child. Also her Dad J.W.Ezell. Fairfax cemetery. I have now communicated with Edna's sister's g'daughter! 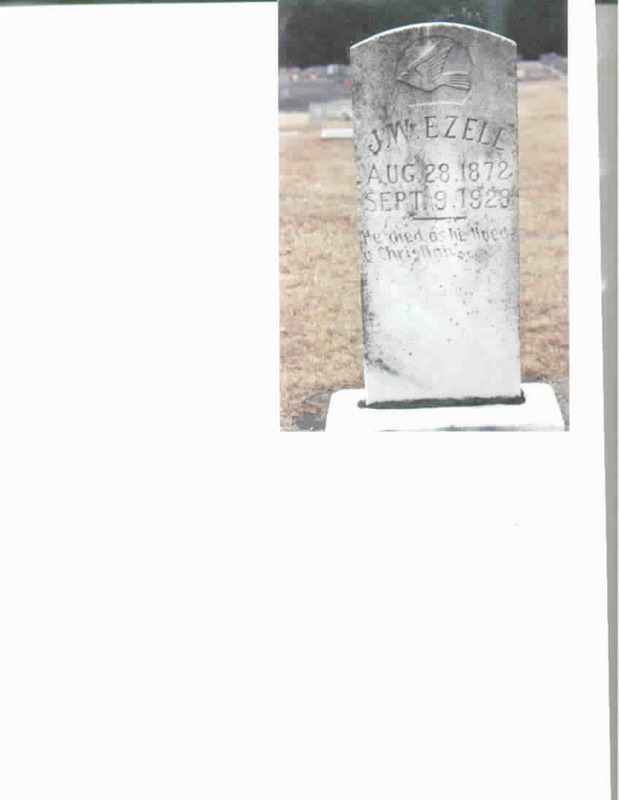 John Wesley EZELL,Edna's Dad, b.8/28/1872, d.9/9/1929 & m. Anna BAKER on 9/10/1898 in Lownes Co.,Ms. 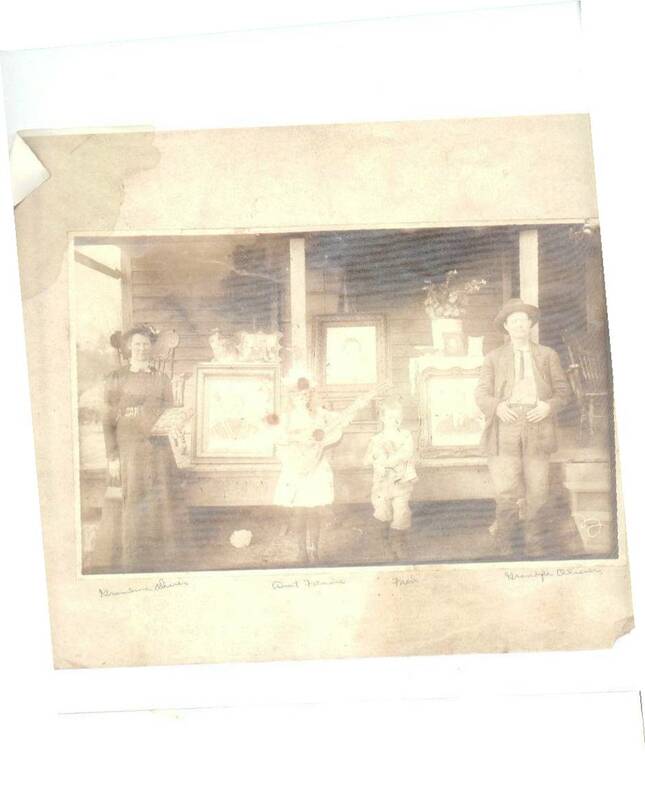 3-Ruth,b.10/11/1904 & d.,4/28/1987 & wed to Lee Roy Dean on 2/26/1921. 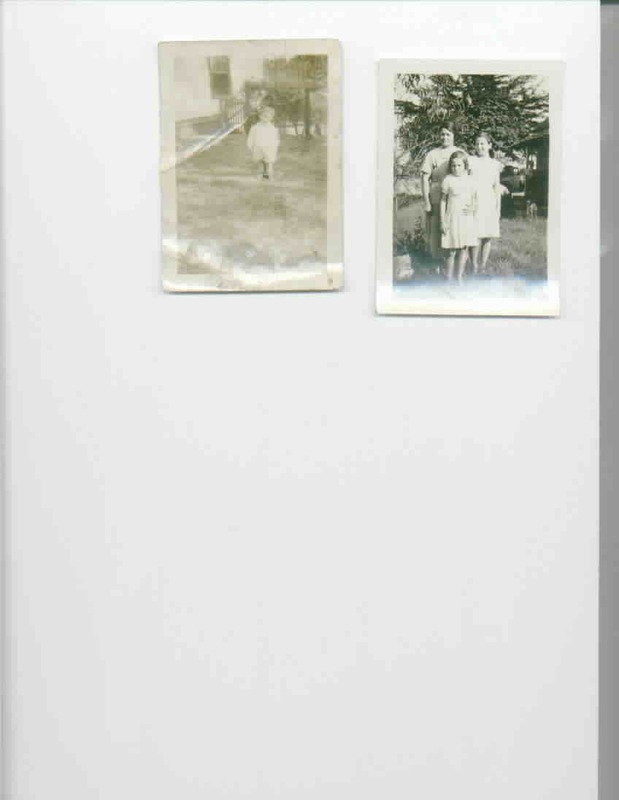 Edna & 2 dau, Ruth & June(my Mom) + a child of Ruth Ezell Dean. Ruth Dean, Clifton & Robin all took care of my Momn after Edna died. Alma, wife of Clifton Ezell & my Grandmom, Edna. G'kids & Children of Ruth & Roy: Myrtle, m. R.E. Winborne; Roy M.Dean, m. Mavourneen Junkins; Annie L.Dean, m. B.L.Stanfill; Robert C. Dean, m. Lauretta ?, M.Inez Dean, m. John Wm.Burroughs. 1- Mom,(June Hunt),thankfully alive! Was married to Wm. M. Hunt who d.1963 & they have 8 kids,alive, plus g'kids & gg'kids..many descendants! 2-Sam,a veteran who d.single in 2000, MS.
3-Ruth McKEE KNIGHTON,died 2001--1 son,alive,as is Homer Knighton,her spouse. 4- Wesley, d. in a home for mentally challenged kids in Ms. when fairly young. More McKee Info The first McKEE I am kin to who settled in MS was Wm.Riley McKEE,b.3/13/1831, d.9 Sept 1886. He wed an Alabama lady named Julia Frances GILDER,b.12/12/1837..d.5/31/1918. I found a Bladen Springs,Alabama census of 1860 with them & the first son of their many sons, Issac J. GILDER McKEE.b.11/25/1859,d.9/17/1904. By 1880 Ike J. Gilder McKee & wife, are in Wayne (or Jones Co.),Ms, while Wm. Riley McKee & wife Julia are still in Al. Ike wed Mary Etta WILLIAMS. Mary Etta's Dad(per her Ms. d.c.) was John G. Williams,b.1812,Al. Mary Etta Williams McKee d. 1950,Ms & was b.1864,Al. source: Her Ms. d.c.
On to my HUNT line,MY BRICK WALL He was William Marion HUNT & his Dad was Charles William HUNT,both born in GA.
Dad b. in Monroe on 6/18/1921 & died 3/3/1963 & Grandad Charles,b.11/29/1877 & died 1/10/1927. 1910 census of Muscogee Co.,Ga. has Charles as roomer in Stephens house & has another roomer named Lily Hunt,also.Speculation is she was his 1st wife. 1920 Muscogee census has him & my G'ma Fannie as man & wife..His dc says,"Wife is Leila". His headstone is double with my g'Ma, Fannie on it. 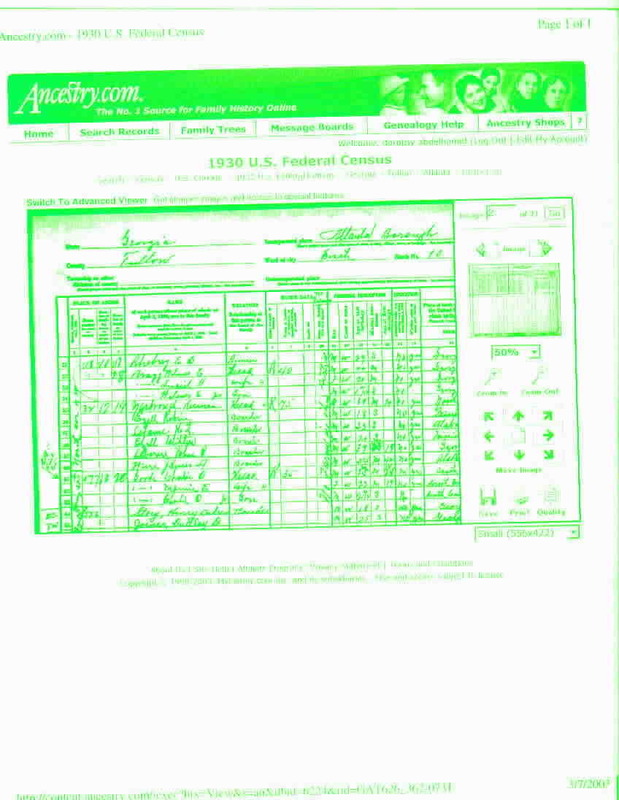 Charles parents re: 1880 Muscogee Co.,Ga.,census, were Thomas & Sallie Hogan Hunt. Charles is buried at Clegg Fm. Cem in Walton Co. Ga as is my Dad Wm. M. Hunt & his Mom "Fanie mae Oiver Hunt Higginbotham. Plus OLIVER kin & Jerome Hunt,Dad's brother,b.1923 who died in childhood,1926. The Porterdale,Ga. death of Charles, my g'dad soon followed.
. Fannie Mae OLIVER, my G'mom & G'child of Sarah ROGERS Edmondson Tanner & Wm.C. EDMONDSON is ALIVE at 101! I found out from a internet volunteer New Year's eve who was trying to find her grave for me. She's in Snellville,Ga in a nursing home. G'CHILD OF TWO CW SOLDIERS LIVING IN 2001! IMAGINE! 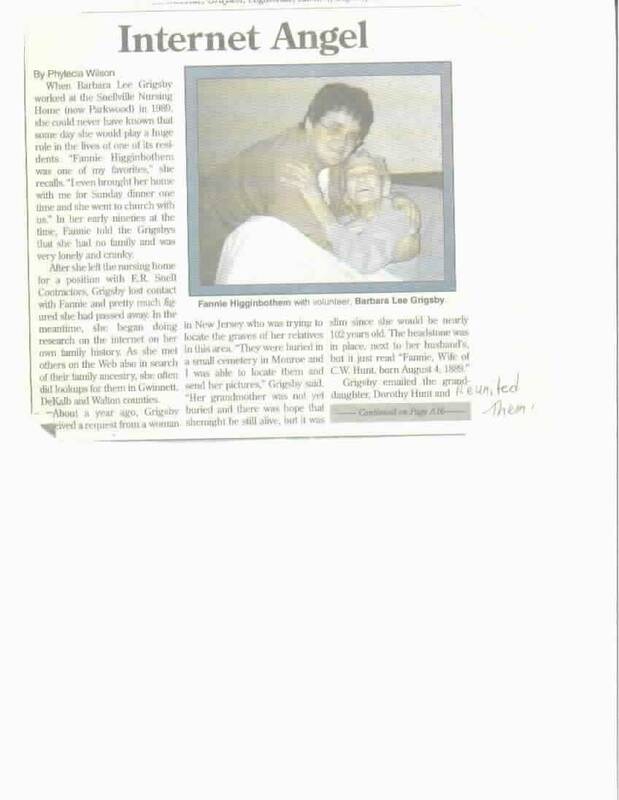 I took my g'baby, Ashley to GA to see Fannie & the newspaper did a small article about how Barb Grigsby reunited us. I visited Fannie & Barb with Ashley K. Valencia, a grandchild I've raised from birth. Fannie's parents are buried in CLEGG CEMETERY #1 in Walton County,Ga. which is midway between Social Circle & Monroe. & Francis Marion OLIVER. (both in photo at top of this page. Martha d. 1944,bur.Walton Co.,Ga & Francis in 1941. BOTH LOST THEIR DADS IN THE CIVIL WAR. & from CW pension of Wm.C. 's widow,also. & from fellow researchers who are sometimes related..
Anna & Hugh both were b.Ga. both b. Ga(per death cert. of Francis,obtained by me). GDAH COLLECTIONI got papers from GA archives inc. CW correspondence, and a letter Curtis Oliver wrote from CA., during his search for gold. Names mentioned in family letters written 1852, 1861,1862,& 1863: Matilda, Henry,Sammy, Mary Oliver,Thomas Davis, William Davis,Dr.Wills Kelley McGhee? Margie/Margery. J.W. or T.W.Oliver signed one letter..Also various Generals, & other officials in Military & Governmensigned some documents found here. put here with contributor's name. 5-Grandad was named after the SWAMP FOX..
interesting bit of historical info. & lots of boys have been named after him! 6-Buried with Martha & Francis is a male child, Joe E. Ward OLIVER,b.1911 & d. young. of Alabama's ABBIE STANFORD in Bladon Springs. #2-Pvt.Tillman DAVIS & Pvt.Daniel Merrill DAVIS. during 1852 GOLD RUSH, CA & 1861-1863 CW years. g'kids by Francis Marion Oliver. #3-Pvt.Wm.Riley MCKEE,a scout for MURPHY'S BATTALION. of Al,under Capts. MC Voy & White. where many of his descendants still live. Pvt.McKee also was in the 15th Army unit after Murphy's disbanded. 4- Pvt.William Carroll EDMONDSON,Co.B,9th Ga. Inf. My Surnames Alphabetically with connection listed,click here. here is a Collateral family's link..THE SIMPSONS!